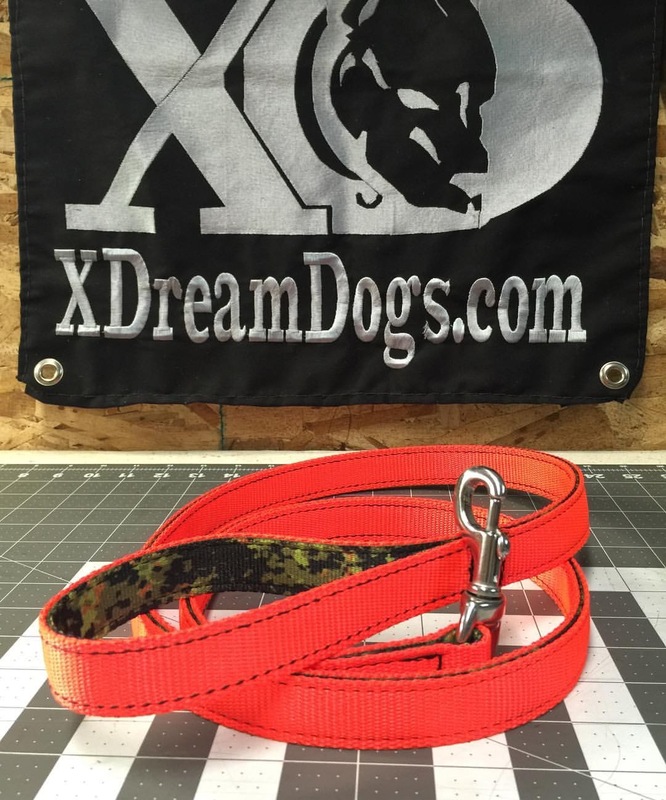 Pictured is 1″ Nylon Lead with Hot Orange Outer, Digital Jungle Camouflage inner, and Stainless Steel Snap! 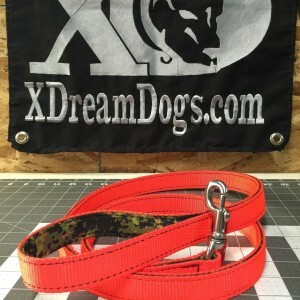 Choose from 2′, 3′, 4′, 5′, or 6′ length leash. Also choose from the following list of colors of stitching below. Option of Solid Brass Swivel Snap, Stainless Steel Swivel Snap, or adding on a Stainless Steel Bullsnap. These are Quality Products for Quality Dogs. Click here to view stitching color options. SKU: N/A. Category: Leads and Long Lines.